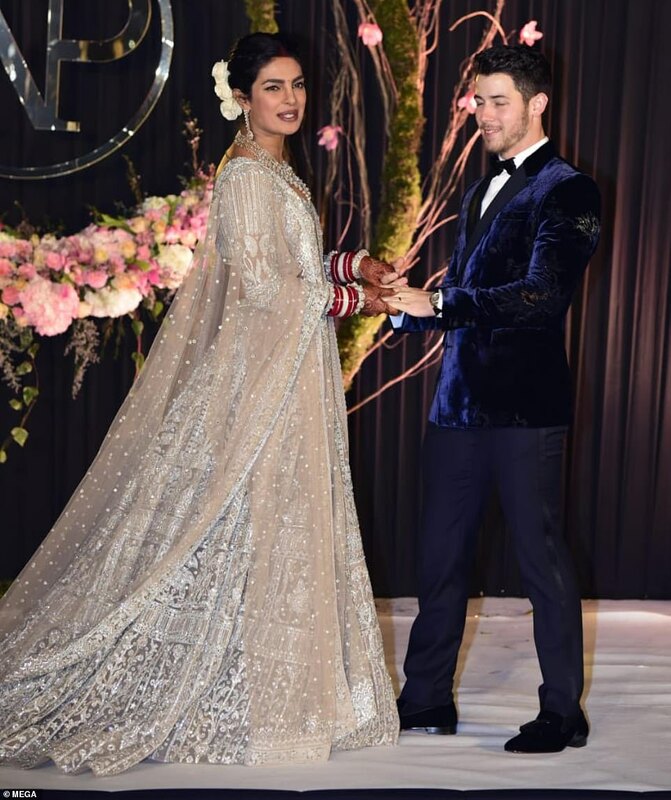 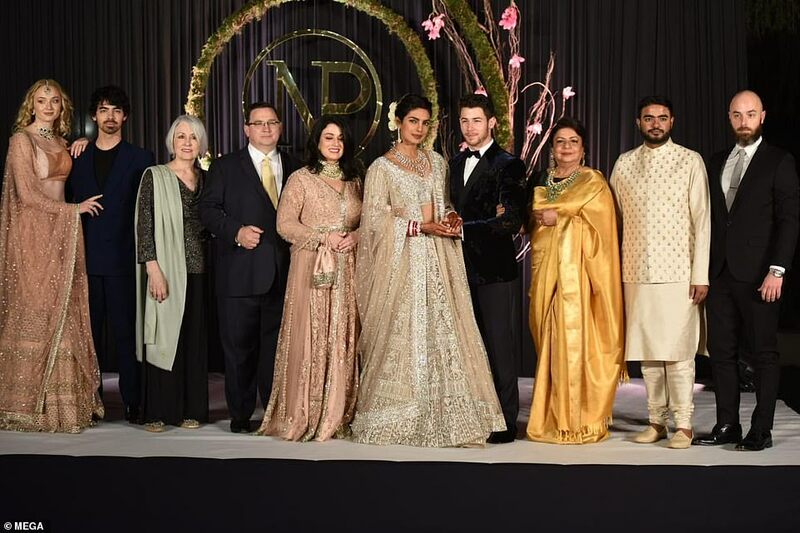 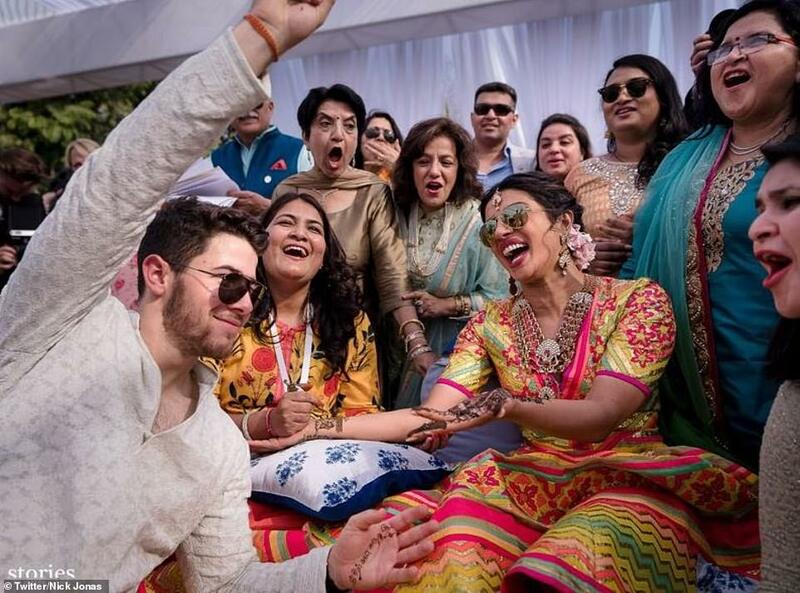 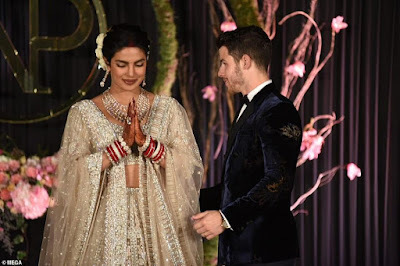 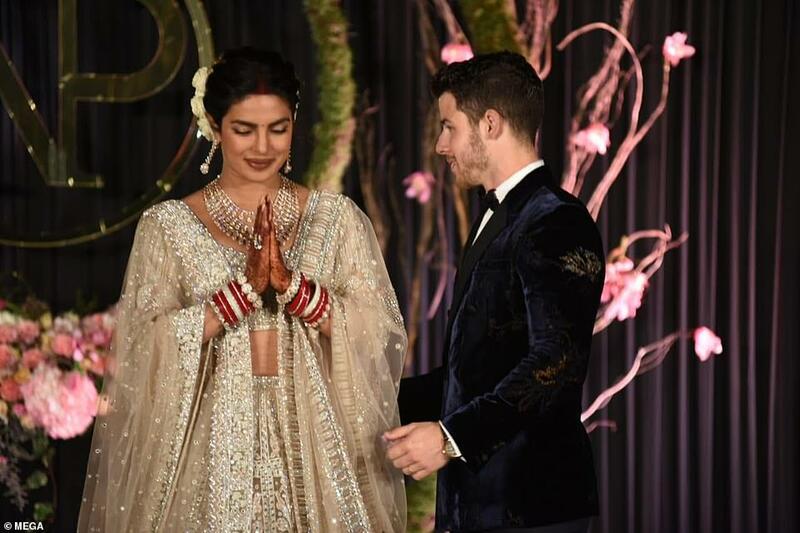 Nick Jonas and Priyanka Chopra's first official wedding photos have been unveiled by Hello! 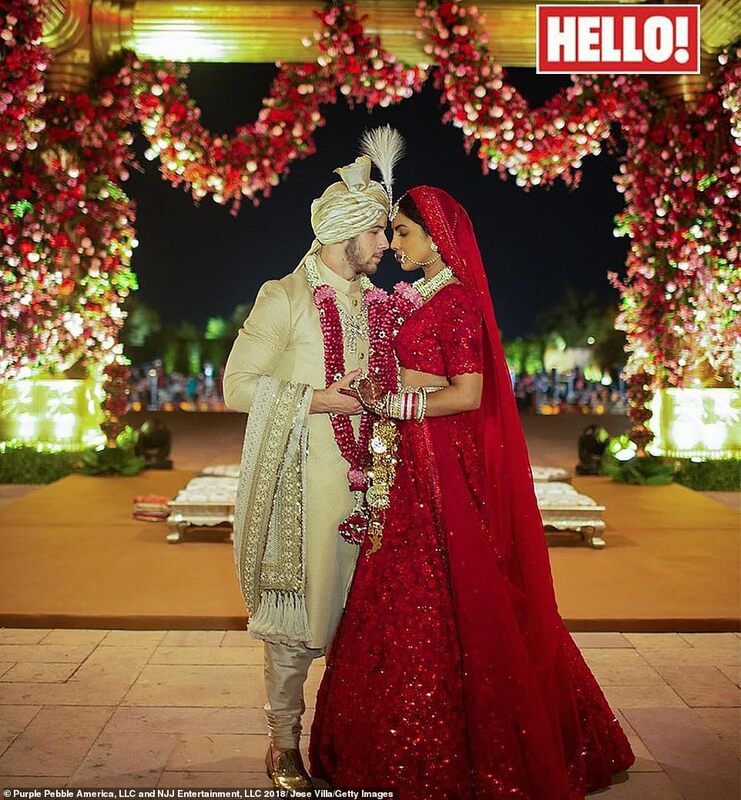 Magazine, showing the happy couple at both their Christian and Hindu ceremonies in Jodhpur over the weekend. The Christian ceremony, which took part on Saturday, saw the bride walk down the aisle in a custom Ralph Lauren gown, which took a total of 1,826 hours to complete and featured two million mother of pearl sequins, with her groom, 26, matching in a suit from the same US designer. 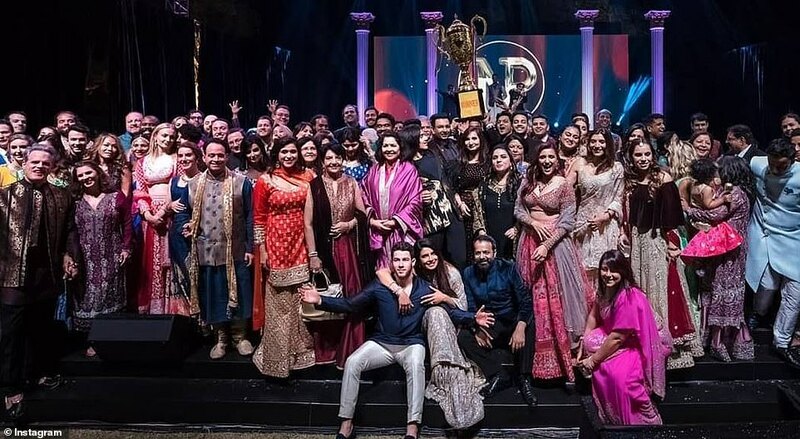 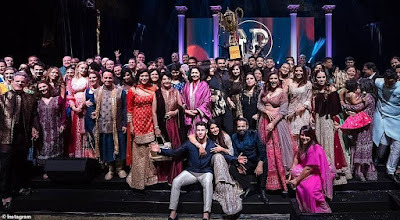 A day later Priyanaka, 36, stunned in a deep red lehenga - a traditional Indian outfit by noted designer Sabyasachi Mukherji, adding Western-inspired twists.